Your training schedule this Sunday calls for a 12-mile run, which I will not be able to do as I will be working a trade show. The show, lasting Thursday through Sunday, requires me to be on my feet nine to ten hours each day. From past experience, I know I will finish each day exhausted. Not only will I be unable to complete that 12-mile run, doing any running during the show seems almost impossible. 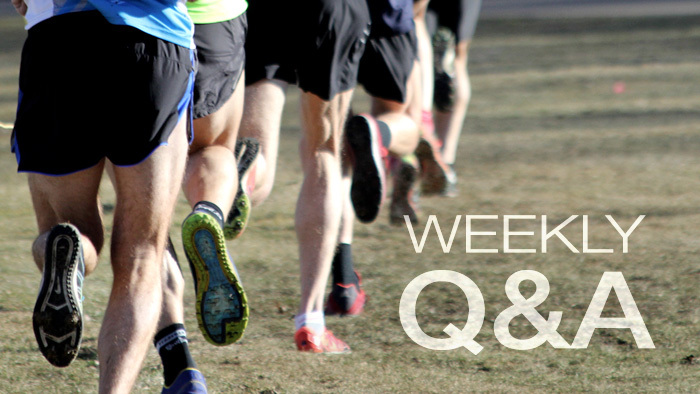 How do you recommend I modify this week’s training schedule? I know exactly how you feel, since I experience the same problem when I appear at Expos before major marathons. It’s a lot of fun talking to so many runners on the eve of their races, but it can be draining as well. And if I’m running the next-day race, I need to forget any PR plans. One option would be to front load your training for that week: move the 12-mile run back to Wednesday, the day before you depart for the trade show. The problem with that is it shoves too much mileage into too tight a time. Ideally, you should have planned for this gap in your training two or three or more weeks out. That way either you or I could have been more creative moving workouts around, opening a gap of three or four rest days to coincide with your time at the trade show. I get the same questions from people about to depart on a ski vacation or a week visiting family out of town. Planning well in advance works best. With or without this option, can you squeeze in a few workouts while at the trade show? This may be impossible if you awaken exhausted, not entirely from your time at the show but from your wind-down time with co-workers in the evenings. But a wake-up run of a few miles or some exercise at the hotel gym might actually serve as a warm-up for your hard day’s work. Most important, be flexible. A little bit of training is better than no training, although sometimes when Real Life encounters Play Time we need to bow to the former.